When you’re trying to organize a trip to Walt Disney World, cutting corners is very difficult. 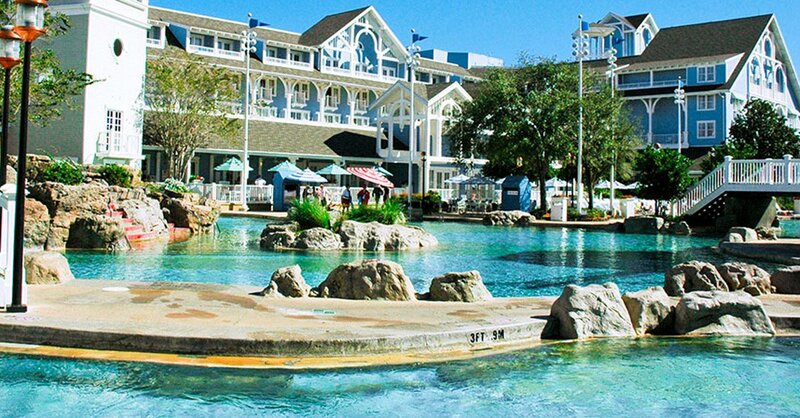 It might be tempting to skip a stay at a Disney Resort, in order to feel less indulgent as you’re planning; however, here are eight reasons not to do so! When it comes to vacationing at Walt Disney World, adding a resort stay is time and money well spent. 8) Themes. There are plenty of Walt Disney World Resorts to choose from for your Disney vacation, and you will find that these resorts also feature plenty of variety in their themes and designs. Whether you are searching for a more tropical setting at the Polynesian Village Resort, polished refinement at the Grand Floridian, or casual kid-friendly atmospheres at the All-Star Resorts, there are more than enough options for you to choose! 7) Activities. If you’re staying at a Walt Disney World Resort, the fun in your vacation will not end as you leave a day at the parks! With movie showings, games, and a slew of other events, every Walt Disney Resort has fun activities for its guests. By staying at one of the resorts, you are guaranteeing yourself a vacation that lasts both day and night, as opposed to a vacation that might end when the sun goes down. 5) Locations. While some resorts, like the Animal Kingdom Lodge, might be rather far away from the parks, others are extremely conveniently placed. When picking your resort, a good method is to choose a resort that is close to your favorite (or most frequented) parks. The resorts around the Seven Seas Lagoon are particularly useful in this regard, because they are right across from the Magic Kingdom, just a boat ride away! 4) Customer service. In case you did not already suspect that Disney employees are happy, considerate, wonderful people, this is your confirmation that they are. There might be nice employees at other hotels and resorts in the world, but at Walt Disney World, this is a guarantee instead of a hope! 2) Connections with other guests. If you are staying at a Disney resort, you automatically have plenty of things to talk about with other guests—and you also automatically know that you all have something in common! Those other guests probably like Disney just as much as you do (otherwise they would not be there, obviously) and so you already know that the people around you are here for the same Disney magic that you are. So go ahead and strike up some conversation, because at a Disney resort, you are all on the same Disney page! 1) A more immersive Disney experience. In everyday life, the place that you dine in and sleep in every night is a surprisingly important part of your existence. This is true on vacation as well—perhaps even more so—and for this reason, your resort is a very important choice. When you stay on a Disney resort during your trip, you won’t feel as disconnected as you might feel otherwise; at a Disney resort, your vacation is still a Disney one 24/7, even in your bed! At any non-Disney resort, you would have to get back into the Disney magic every morning. At a Disney resort, this constant transition is unnecessary! Planning a Disney vacation can be a lot of fun, but if you try to plan a Disney vacation without also picking a Disney resort, you will find that you are actually missing out on half of the excitement. Walt Disney Resorts are designed for the pleasure of Walt Disney World visitors, and everything from their locations, their food, their themes, and their customer service make Disney resorts the ideal choices for anyone interested in a trip to Walt Disney World’s parks!